Discipline is the catalyst that helps us achieve our highest potential. It pushes us to go from good to great and enables us to utilize our God given talents to better ourselves, our community and our world. At St. Pius X Catholic School, we take great pride in empowering our students to achieve greatness…spiritually, academically and personally. My hope is in Christ, who strengthens the weakest by His divine help; I can do all in Him who strengthened me! 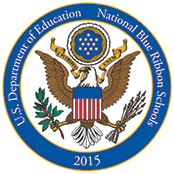 To schedule a tour of our Blue Ribbon School call our school office at 859-341-4900. Office Hours: 7am–2:30pm. ©2019 St. Pius X. All Rights Reserved.